Night seems mysterious, yet so alluring. A whole new world stirs and bustles. Nocturnal creatures emerge, some of which to hunt. The owl sees in the dark, beyond the veil of deception and illusion, discovering what’s kept hidden. 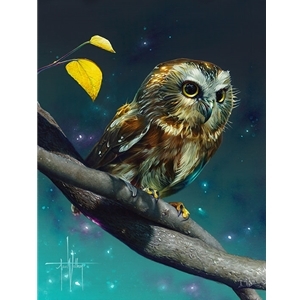 Under the glow of the night sky, this owl is poised, prepared to dive to sate its appetite.